Can I get a proof before I pay? 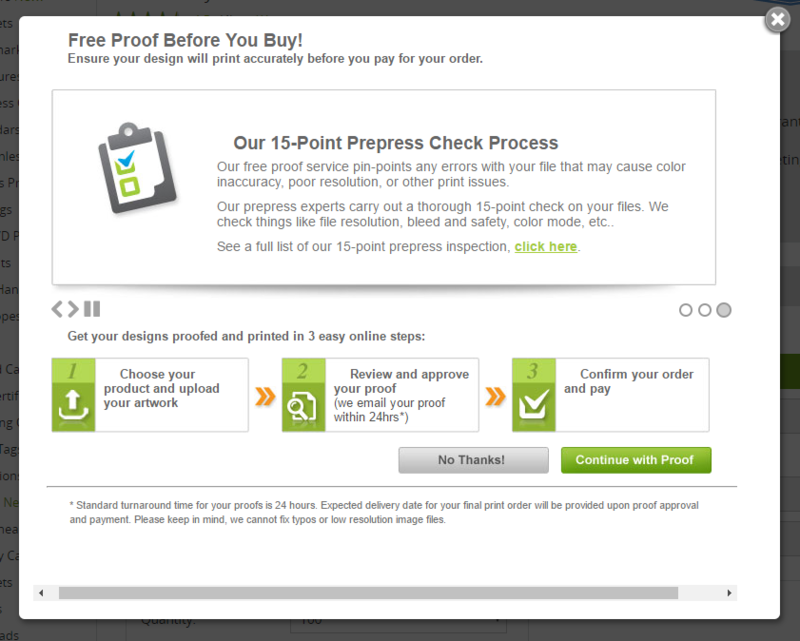 Yes, you can get a free proof even before you pay for your order. 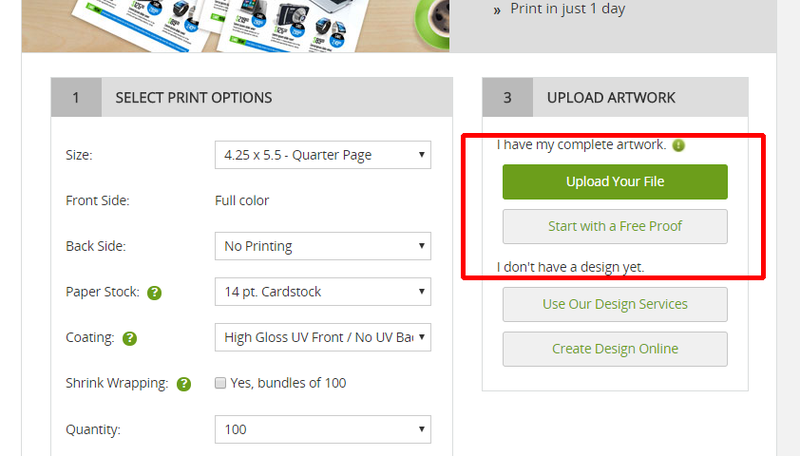 In the product page, after selecting the printing and delivery options, you can click “Start With Free Proof” in the Upload Artwork section. A window will pop-up detailing the benefits of proofing and the whole proofing process, including the 15-point list that our prepress department uses to check your file. Click “Continue with Proof” to proceed. In the Upload Files page, you can now upload your artwork to receive your free proof. I need a design, how do I get started? What are the requirements for next-day and same-day turnaround time? How can I reupload new files and get a new proof for my paid order?